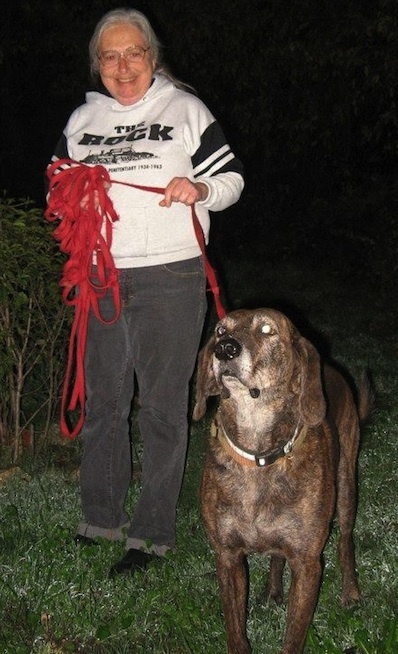 Joyce Kearney with her happy companion Chester, November 2008, photo by Tom Yamarone, used with his permission. In Sasquatch: The Apes Among Us (1978), on page 43, where historical discoveries by Jim McClarin, myself, and others was mentioned by chronicler John Green, he also wrote: “Research to trace back the [Mt. Diablo area sighting] series back to its  San Joaquin origin was done by Joyce Kearney.” That was 35 years ago. Joyce Kearney reportedly had already been involved in the Bigfoot field for an additional ten years by the time Green had written that passage. Kearney once told Bigfoot Times editor Daniel Perez that she got interested in the field after the 1967 Patterson-Gimlin Bigfoot film. She ended up doing decades of Sasquatch studies, and traveling from the mountains of California to sites of historical Bigfoot significance in Washington, Oregon, Colorado, Texas and Ohio. Just like others reading this, I would see and talk to her at conferences, now and then. Joyce Kearney? It is a name you might recognize, but you might not know you ever met Joyce. This female Bigfooter was not an individual who would be a splashy celebrity at conferences or give talks at big meetings. Kearney, more often than not, would take a background supportive role. In the jargon of philanthropy, Kearney was what one calls an “angel” – i.e., a benefactor, patron, donor, and contributor. Kearney sometimes would sponsor, organize, or suggest conferences or gatherings. In recent years, few probably knew how critical she was in making many tributes and travel for speakers a success. Kearney sponsored the Patterson-Gimlin Film 40th Anniversary Celebration in 2007. She also generously sponsored the Yakima Bigfoot Round-Up. Joyce Kearney was also the quiet funder of Bob Gimlin being able to travel to the 2010 Ohio Bigfoot Conference. 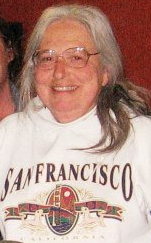 The beloved San Francisco resident, Joyce Marie Kearney, 70, died on Friday, September 20, 2013. Professionally, she was a registered nurse. She was survived by caring siblings and other relatives, including two daughters (Jane and Margaret) and her husband (Jeff). Joyce was born April 2, 1943 in Cincinnati, Ohio, and was raised in various towns throughout the U.S. as the family moved following her father’s career with J.C. Penney. The family moved to San Mateo,California when she was 14 years old. She attended Hillsdale High School and graduated in 1961. She obtained her nursing degree from San Jose State University and worked for over 20 years in the V.A. Hospitals in Palo Alto and San Francisco, California. 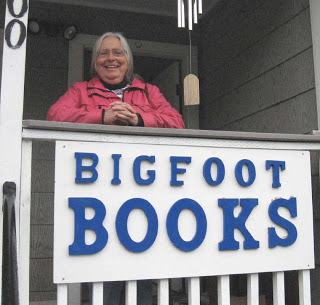 She was retired and enjoyed spending time in pursuit of her life-long passion, investigating and researching Bigfoot. Her interest took her far and wide traveling…She will be remembered for her kind, caring and generous soul and vivacious spirit. It does seem appropriate to call Joyce an “angel,” for she was one in every sense and all human definitions of the word. She is one of the good ones, who will be deeply missed. In this field even losing the ones you never met and didn’t know feels like losing family. Godspeed, Joyce. And thanks.